À la Roch Cakes & Sweets is a boutique cake studio based in Newcastle. 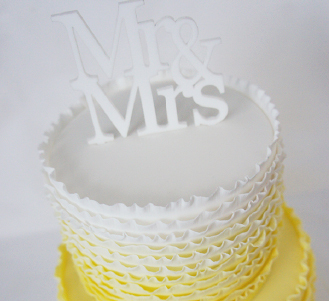 Rochelle is a talented cake decorator who will turn your vision into a reality. Cakes are baked from scratch, using fresh quality ingredients. Different dietary requirements can also be catered for. À la Roch services the Newcastle, Lake Macquarie, Port Stephens, Maitland, Hunter Valley and the Central Coast. As a photographer I enjoy capturing Rochelle's cakes, not only is she an amazing cake decorator, she always goes that extra mile to please. Thank you. Delicious cookies. 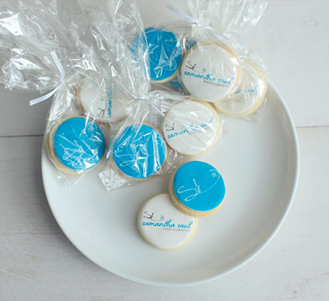 We specalises in custom edible icing, if you can print it, so can we… on frosting. 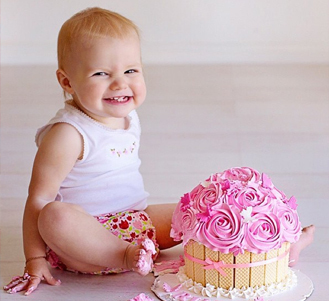 Perfect celebration cakes to mark your little one’s milestone. Vision courtesy of Blue Owl Photography. Visit À la Roch Cake Toppers for beautiful custom cake toppers, perfect to complete your next cake.